The summer of 2012 brought a man named Tosch back to his hometown of Bend, OR with a decision: stay in school or sew backpacks. Well, considering he’s now the head of a little company called Free Range Equipment, you can probably guess which path he chose. 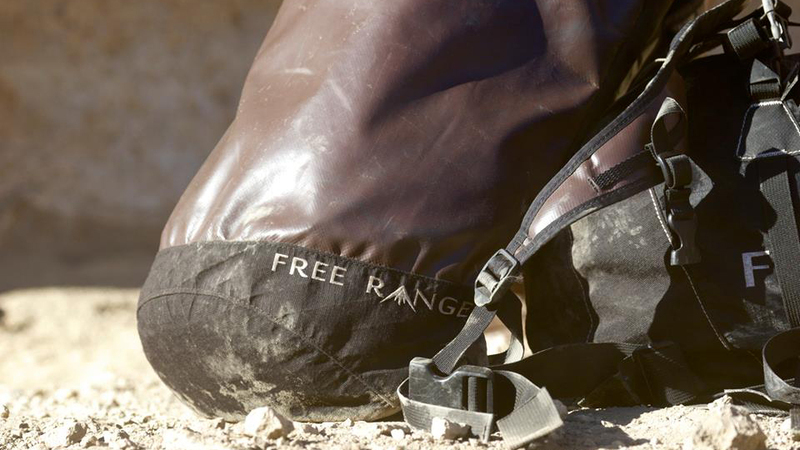 Making simple sport-specific backpacks for light and fast adventure in the mountains, Free Range Equipment is not just made in the US, it’s made at their ‘pactory’ in Bend. Offering a Canvas Series and a Vertical Series, prices start at $99. The Canvas Series features bags “designed as a mountain town daypack so rock it on a pre-work ski or your daily commute.” The Canvas Series exists to bring “vibrant creativity to you while supporting artists in their own adventure.” When you purchase your very own custom Canvas pack, a portion of each sale goes directly back to the artist who created the print. Their Vertical Series features sport-specific bags from ski mountaineering to speed touring to rock climbing.